The consistently high quality of a recycled product as well as optimisation throughout all process stages are crucial pre-requisites for a successful recycling company. The specialised recycling auxiliaries of the CHT Group highly contribute to this success. Product solutions for water recycling such as e.g. ultrafiltration also belong to our portfolio. 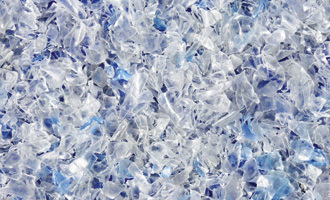 The plastic material ground to flakes is subject to an aqueous cleaning stage in mechanical recycling. In this process stage our cleaning additives of the TUBIWASH range not only optimally remove adhering soilings but also prevent deposits from sticking to machine parts. In addition, TUBIWASH is able to reduce the consumption of energy and caustic soda in the cleaning process. In a recycling process the use of defoamers is often indispensable. The applied quantity can, however, be reduced to a minimum by using the highly effective products of the TUBIFOAM range which have no impact on the wastewater. TUBIFOAM inhibits foam occurring in the various process stages ensuring thus an optimum machine operation. The defoamer TUBIFOAM diffuses into the foam lamellae in order to destabilise and finally destroy them. Some of our defoamers of the TUBIFOAM range are not only used for inhibiting foam but also as flotation auxiliaries. This helps reduce the number of products used in the process. For particular demands we additionally offer specialised flotation auxiliaries, namely our TUBIWET products. TUBIWET removes the air adhering to the flakes and facilitates thus a sinking of the PET flakes in the flotation bath. We will be pleased to analyse your processes and provide you with tailor-made recommendations for use. The close cooperation with our research and development always leads to innovative solutions which can be implemented quickly and flexibly in the recycling plants.